Remodeling your bathroom is a great way to add new life to your home and save money on your utilities with newer, energy efficient products. If you are thinking about remodeling your bathroom, now is the time to do it as the weather is perfect and the prices are just right. If you are thinking about remodeling your bathroom, whether it is your master bath or a guest bath, the cost is going to be your #1 factor. The average cost for a remodel is $9,000 to $11,000, with many people spending double that for magazine quality bathroom retreats. The majority of that cost is labor and products, but most people see a return on their investment, ROI, of up to 80% in increased home value costs. We at Kay Plumbing believe that you can remodel your bathroom with out breaking the bank, here are some tips we suggest. Make sure you find a contractor that you trust and has experience. Be willing to spend more on the original estimate so you are less likely to get “surprise” costs by contractors trying to keep the bid low. Make sure you hire a crew that is licensed, bonded and insured. If something goes wrong they will need to cover the mistake, not you and having proof of insurance can ensure you won’t be stuck with a bad remodel or another check. We at Kay Plumbing have worked with many contractors that do all types of home remodeling, so if you would like our advice give us a call. Also make sure that any specialty work, like plumbing, roofing, gas or electric is done by a certified tradesman. 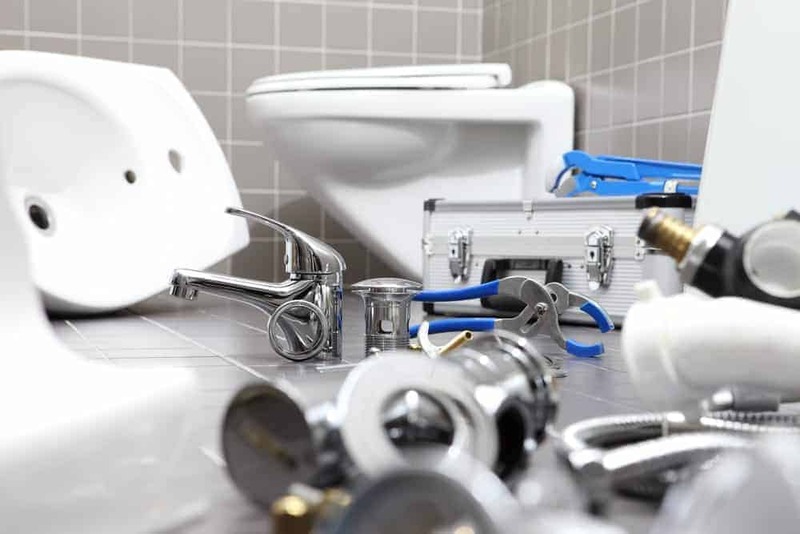 Only a Master Plumber can ensure your pipes meet the building code and are installed correctly as well as know what permits you may need for the remodel. Allowing a general contractor with out these certifications to complete this work could mean issues with inspections, resale of your home and repairs of the remodel work in the future. Save yourself the headache and get it done right the first time. The second piece to a remodel that will help save you time and money is the quality of the products. Not only does a bathroom revolve around the products you install but your home’s utility bills can be affected as well. You need to make sure that the sink, shower, tub and toilet you install look great but also help save water and money for your home. We recommend doing some research and suggesting products to your General Contractor for installation. This will help for two reasons, one it will show that you know the cost of the products and can help control markup cost. As master plumbers, we at Kay Plumbing recommend Toto USA products, from sinks to toilets they are energy efficient and stylish so they would keep your home looking amazing for years to come. In the end, a remodel can be a headache to live through, but the end product should make your home better not an inconvenience. Just take a little time to research and get a little knowledge before you spend your money and everything should come out just right.